Why it would be great: Because Martinsville. Face it, the racing at Homestead-Miami Speedway is generally underwhelming. There have been moments, but it’s an intermediate track with a predictable configuration. A short track has much more potential to give fans a finish like they saw last month, only this time it would be for the championship. It’s one of the few tracks left where drivers can race like they always have, aerodynamics be damned, and it always produces a good race. Tradition? This is NASCAR’s oldest track, one where every legend has had to prove themselves in order to win a title. Why not make it the track where it all comes down? Martinsville is also close to home, just a couple of hours from Charlotte. That means less travel for teams who are road-weary and then some by week 36. If the championship is about them (and it is), it makes sense to wrap things up within shouting distance of home. In a bit of a twist, Martinsville actually has more seats than HMS, which regularly sells out the finale, so more fans might have a chance to see what would almost certainly be a race worth attending. Supply and demand is a fine line, but in this case, a slightly larger supply (roughly 9,000 more seats) might be worth it. Why it wouldn’t: Winter. It’s cold in Martinsville in October, let alone November. Homestead, if nothing else, is more comfortable for fans to sit outside for a few hours. That might be all, but it’s hard to overlook. The only way to close the season at Martinsville would be to either shorten it or condense it by adding a handful of midweek races or doubleheaders. That’s for sure worth looking at but isn’t as good an option for tracks as it seems for fans or teams. A shortened season is the better option here, and perhaps when the TV deal is up for renewal, well worth discussing for many reasons. The other issue would be the track’s size. It can only accommodate haulers for one series inside the track and does not host three series in a weekend. It would be very tough to host all three divisions. 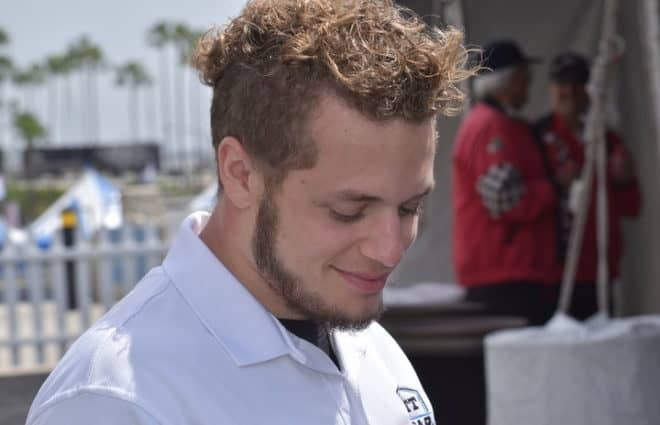 If Trucks and XFINITY were one-day shows, it would be doable, but logistically it would be difficult. For fans, it’s not quite up to the standards of some newer tracks, though generally, that’s part of its charm — plus the $2 don’t hurt either. Why it would be great: Pretty much every reason Martinsville would be a great finale applies to Bristol. Just over three hours from Charlotte, Bristol has long been billed as the track for old-fashioned short-track racing, complete with tempers. Concrete is less temperature-sensitive than asphalt, meaning cold weather wouldn’t affect the racing as much as it might on an asphalt track. 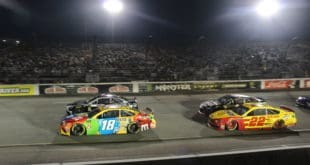 Since it was reconfigured several years back, Bristol hasn’t been the self-cleaning, car-collecting monster it once was, but it’s still one of the tracks fans talk about when they talk about excitement, and the possibility of an old-fashioned Bristol bump-and-run to end the season certainly has some appeal. Finally, Bristol’s huge capacity might actually work against it in this instance. If the seats didn’t sell, the cavernous track could look empty — not a good look for the sport in what should be its crowning moment. Why it wouldn’t: Again, everything about Martinsville also applies. It’s really cold in Bristol in November, no matter how well the track reacts to it. With high temperatures this week in the 40s, that’s not really fan-friendly. Bristol accommodates two series’ haulers inside, but that’s because it has no garages. Teams work on pit road and at their trailers, and a third series would have to be parked outside, as trucks are at Martinsville. 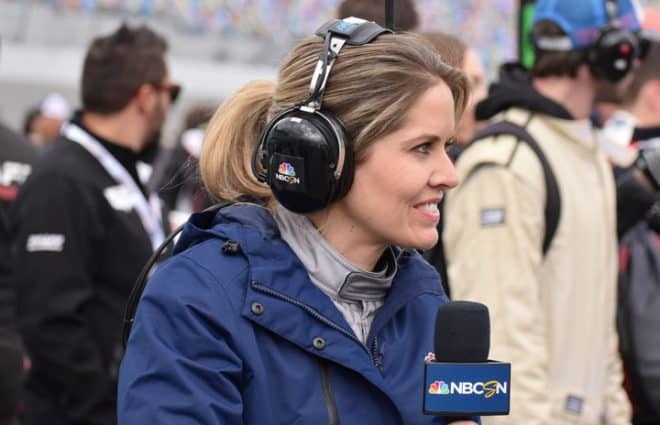 Bristol has hosted all three series in a week, but generally with trucks on Wednesday, with Thursday worked in as a day to turn it around for the other series, though they did run Thursday night in August. At either short track, the lower series would wind up getting the short end of the stick. Why it would be great: Like Martinsville, Darlington has been around a long time, and has quite a reputation to go with its tradition. Like this. Why it wouldn’t: Darlington might have better weather than Bristol or Martinsville. This weekend’s forecast calls for sunny with temperatures in the lower 60s, a nice day for racing, though rain is often a threat this time of year. Still, Miami pretty much has the weather market cornered. Like Martinsville, Darlington is a bit antiquated compared to some facilities. Its parking is much better than Martinsville’s in that it doesn’t turn into a mud-wrestling pit at the first drop of rain, but the overall feel is that it’s not quite up to date. For its retro week, it’s part of the draw, but when all eyes are on the sport it could be less so. And it doesn’t always produce finishes like the one with Ricky Craven and Kurt Busch, either. Finally, getting a second race at Darlington would be difficult at this point in time, and that’s the only way this should be considered. The Southern 500 belongs on Labor Day weekend, end of story. That weekend does well with its throwback theme, but a second weekend has the potential to take away from both, even if it is the championship race. Plus, does holding this one-race championship format really sit well at the track that represents NASCAR’s tradition perhaps more than any other? Why it would be great: Simply put, it’s home. For teams, the chance to finish it out with their friends and families present would be priceless, particularly for those in the title hunt. After their hard work, maybe they deserve that if they want it. 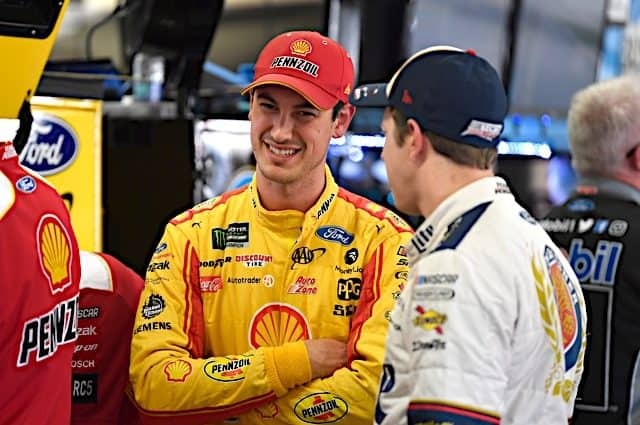 It’s a good advertising angle as well, finishing it out in NASCAR’s backyard, but the main reason to look into it would be the teams and they do deserve a say. Also, it’s maybe marginally warmer than Martinsville or Bristol. Maybe. Why it wouldn’t: To be the finale, it’s safe to say the track would have to go back to running the oval configuration. The infield road course proved too unpredictable to be a fair way to crown a champion. The track went to a lot of expense and work to make the ROVAL a viable venue for a Cup race and a great experience for fans. 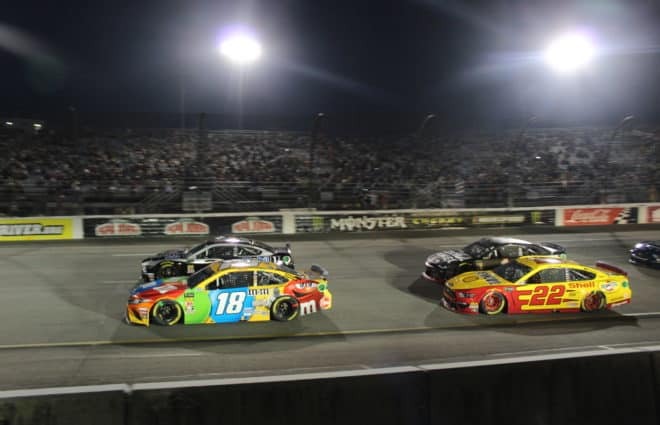 Management might be, with good reason, loathe to can it, but the other option would be to run the road configuration in the spring, effectively ending another of NASCAR’s longest-standing traditions, the Coca-Cola 600. Sure you could run that for the finale, but it would be akin to running the Southern 500 on Mother’s Day and it would probably be less-than-exciting to watch. NASCAR wants the finale to be exciting, and rightfully so. 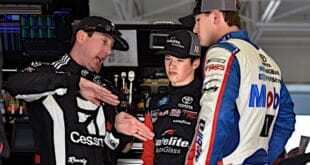 There is a faction who would like to see the season end where it begins, at the track that’s also NASCAR’s home base. As a bookend, that makes some sense. The racing at Daytona is generally as close as it gets. A close finish is a very good bet, and if closeness alone makes it exciting, it would have that. For sure people would be talking about the race the next day. They usually do after a race at Daytona, though whether it’s about the finish, the wrecks or the flaming jet dryers is up for debate. 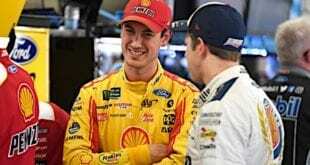 Why it wouldn’t: While giving up the “temporary” restrictor plates for tapered spacers and more throttle response may take care of the issue, right now, the big packs at Daytona mean big wrecks. It’s very easy for a driver who could win the race to be taken out before he has the chance to try. Does anyone really want the title to come down to who was in the highest running position on lap 102 when the Big One takes all four contenders out? Or even the one who survives being taken out by a team that finishes 38th every week when the other three don’t? I’d venture to guess fans don’t, and the title contenders wouldn’t choose to win it that way either. In short, a track where picking a winner is like picking the lottery numbers and about as random is just not a good candidate for crowning a legitimate champion (for argument’s sake, we’ll say that’s still a thing). Daytona fits the tradition bill well, but not the best way to determine the champion bill. 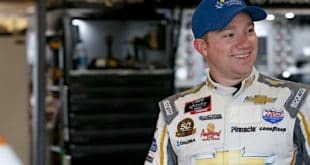 Previous NASCAR Mailbox: Should Homestead Forever Have the Honor of Hosting the Season Finale? Right now, I’m good with Homestead as the finale. It’s the most raceable 1.5 mile track on the circuit, consistently producing good races in recent years. It doesn’t have the roulette wheel problem of a superspeedway, or the tight confines of a short track. The best teams should rise to the top there. It also has ample facilities to accommodate all three national series. Also, who doesn’t like South Florida in November? Nice article. The space available for haulers is something I had never known (or had forgotten) and never considered. Another factor that might be important (though, I have no idea if it is) relates to available accommodations for fans, media, and anyone else. I have no idea of the camper facilities, hotel accommodations, track accessibility, airport proximity, and related chamber of commerce-type factors of the various tracks, and hence the suitability for what I assume is a larger people inflow for a multi-day, multi-series, championship weekend. I am not sure any track is immune to bad weather or to natural disasters during mid-November, but I do not know the historical trends of such adversities at any of the tracks. Even though the Atlantic (and the Pacific, for that matter) hurricane season extends through November (as if hurricanes pay attention to a calendar), the Homestead championship races have been lucky to avoid such bad weather events.